I know, I know, I did say out loud that I wasn't going to build a Covenator army. I hold my hands up: guilty as charged your honour! Bit of a tricky one this. Peter Pig do a range of Scots, but in comparison to the English it is quite limited. The biggest issue is currently there are no lowland pikes open handed, I have asked Martin (Mr PP) if some could be made available: I think they are on his list. 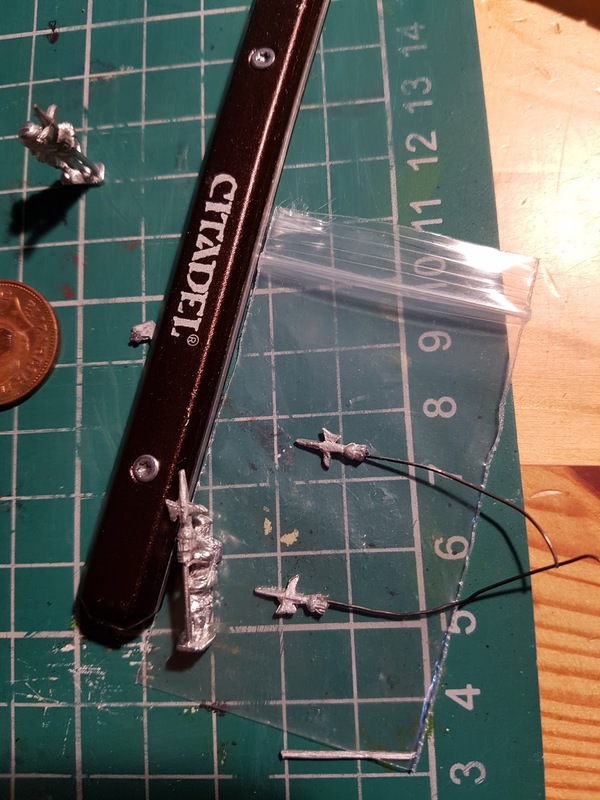 I'm holding out until Salute, if not available by then I'll be laboriously drilling hands to take wire pikes. No doubt swearing to myself at the same time. At the moment I've planned on three regiments of foot, a couple of generals, a preacher, and an Earl of Leven figure with standard. I've already mentioned the issue with the pikemen; musketeers, sadly, only come in one pose, and there are no halberdiers. The lowland musket pack was a big influence in my buying into the PP range at the start. They are beautiful figures. Just a bit of a shame there are only three variants of the firing pose (unlike the English musketeers who have rests or not, are loading/standing/firing/marching/waving their muskets in the air/ and have a variety of hats). Command stand is covered by a pack, but what of the halberdiers? I could have just added extra officers, but I really fancied a little more variety. A quick peruse of the range throws up the lowland artillery crew: there is a chap standing with an upright ramrod. If I cut the ramrod flush with his hand I'm sure a halberd head could be fashioned. Which way to go? Green stuff? The paper PVA'd over wire trick? Or cut some halberd heads off and pin them in place? 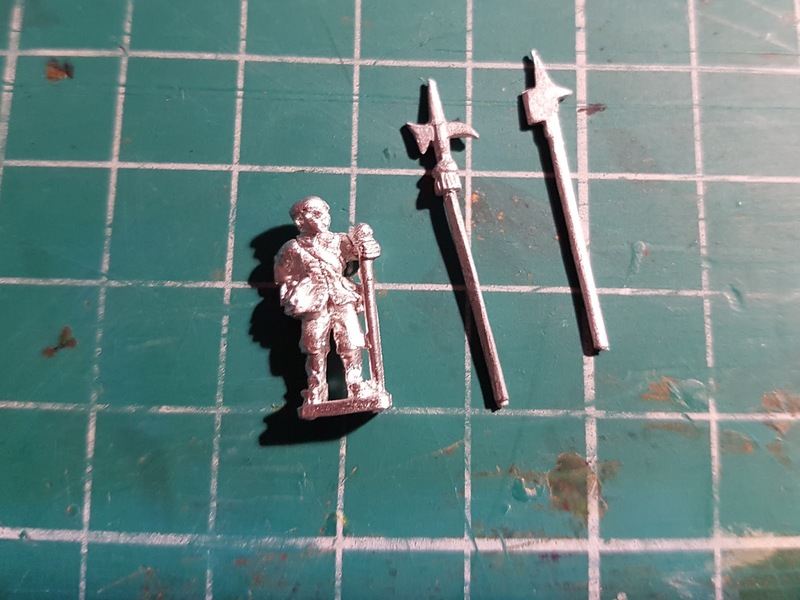 Donnington Miniatures make a couple of packs of separate halberds: EQ16 common halberds (on the left in the picture) and EQ17 Swiss halberds (on the right). I tried drilling both. 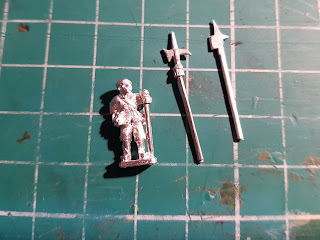 The common halberds have a lovely tassle below the head, giving a good thickness to drill into, and a good mass of metal to help with gluing; whilst the Swiss halberds are just too thin to drill. Top tip if you try this yourself, don't try drilling too deep into the common halberds, as the head snaps off from the tassle. Slightly disappointed I couldn't get two different halberdiers, nonetheless, pretty pleased with the result. 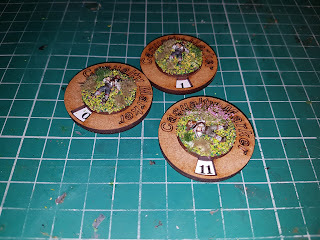 Casualty markers? There is a pack of highland casualties - one of which is wearing trews (as opposed to a kilt). 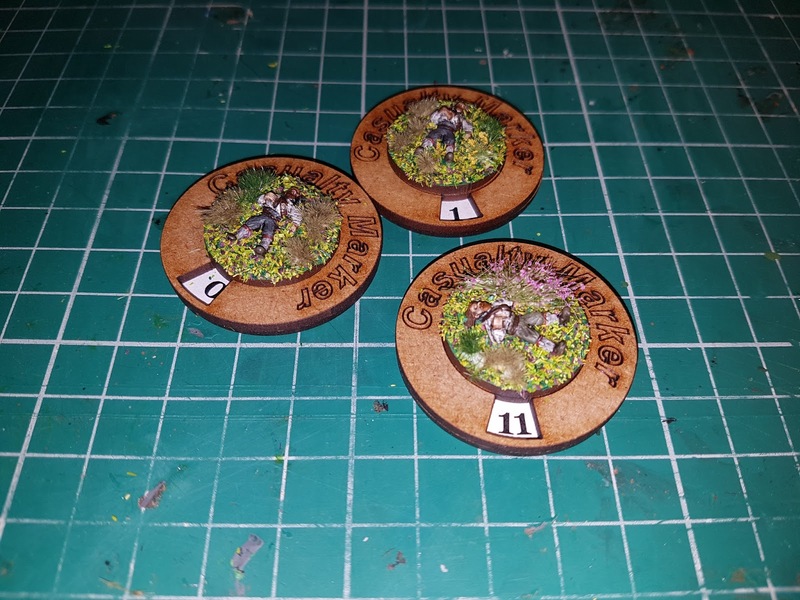 Nigel at PP was happy to cast a custom pack of dead Scots in trousers. Must confess there is a very definite air of dead Morris dancer about them. Probably just a result of my colour scheme.